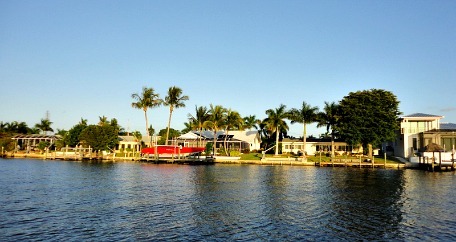 Cape Coral Canals - And there are lots of them, offering over 400 miles of waterfront property for amazing boating and fishing! 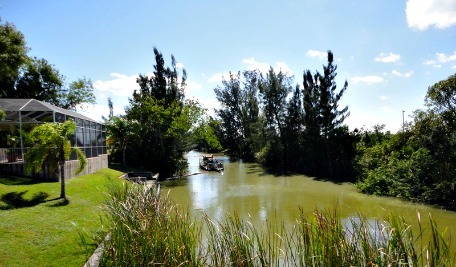 Our canals are what makes our city unique, they increase quality of life with more waterviews for homes; provide recreation, flood protection, and irrigation water; attract wildlife, and keep home values up. 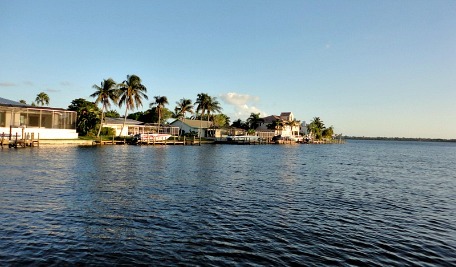 The closer the canal is to the Caloosahatchee River and gulf-access, the more expensive property on that canal becomes. You'll also want to consider whether your boat can go under bridges that go over gulf-access canals that are further in. Interior canals don't go out to the Gulf, but may have access to lakes. 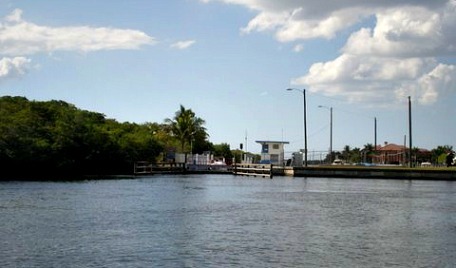 The canals on Cape Coral's western border are the North and South Spreader Canals. Homes along these canals have some of the nicest water views, parts of the canals are 200' wide. The North Spreader runs from Pine Island Rd to Caloosa Pkwy, the South Spreader runs from Veterans Memorial Pkwy to the Caloosahatchee at Tarpon Point with a boat lock at Cape Harbour. These canals were developed in the 1970's to divert freshwater run-off to the mangrove forests that border Cape Coral instead of the Caloosahatchee River, Matlacha Pass, and the Gulf of Mexico. 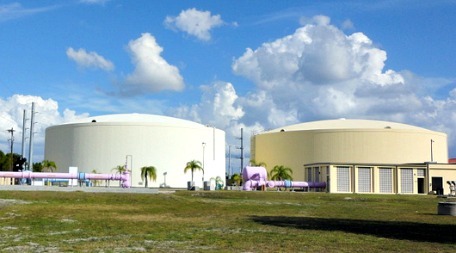 Cape Coral is proud to have a dual-water system that also keeps wastewater out of the Caloosahatchee. The way this system works is water is pulled up from deep wells and treated for potable use through reverse osmosis for drinking, cooking, cleaning, flushing, and bathing. Then, the waste water we produce is piped to one of 2 reclamation facilities, Everest and Southwest, where it is treated and stored to be used for irrigation for all of our sprinkler systems. Because we don't produce enough wastewater for all of irrigation needs, the city pumps water from the freshwater canal system from 5 different pumping stations. This is important especially during dry season, as much as 2/3 of the water used for irrigating lawns comes from freshwater canals. Once canals are pumped down to a certain level, they can no longer be used for reclamation purposes. That's why the city has a watering schedule to help manage this great resource and to make sure there's enough water for fire hydrants. Watering twice a week for 4 hours is enough to maintain your lawn during dry season. during drought conditions, the city may call for a once-a-week watering schedule. Limitations of this system is that the city can't increase sewage wastewater if it needs to and they can't control the weather. Canals can get really low if the rainy season starts late or there is a drier than normal dry season. Cape Coral is planning improvements for more storage of rainwater, to be used during dry season. Water Conservation - Drinking water consumption is reduced by 50% by using reclaimed water for irrigation, which also extends the number of years Cape Coral can use it's underground aquifers. River Conservation - Wastewater is used to water lawns instead of being discharged into the Caloosahatchee or into a deep injection well. Money Conservation - This impacts your wallet! Cape Coral residents only pay $9.50/ month for irrigation water as compared to $87/month for Charlotte County residents, or more than $42 for other nearby localities. According to Florida Fish and Wildlife biologists, gulf-access Cape Coral canals have the low salinity which create favorable conditions for bull sharks to give birth. Along with alligators, this is why you don't want to swim in canals. I don't think I would paddleboard either! If you live on a canal, you may want to be part of Canal Watch. Many problems are first reported by residents, and so it's important for them to be involved in keeping Cape Coral canals healthy. Volunteers learn about water quality, meet with water managers, collect samples for testing, and provide information. Anyone can join the annual Canal Clean-Up Day, usually in March. You'll need to bring water, bug spray, sun screen and if you them, litter sticks and nets. The city provides trash bags, gloves, a limited supple of litter sticks and nets, and lunch! To see sampling sites, become a volunteer, and/or receive their newsletter, call Harry at (239)574-0785. You can also find out about Lakewatch and Pondwatch. 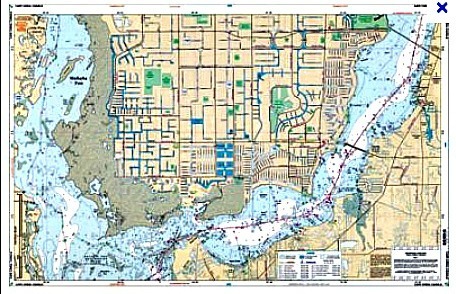 To buy a Cape Coral Canals Chart, they cost around $30. I've seen them for sale at Tarpon Point Marina or you can order online from Waterproof Charts. A chart from the 1960's is available from the Cape Coral Florida Historical Museum. Cape Coral is the middle of a major canal dredging project to clear deposits from the bottom of the canals and keep them deep enough for boats. The project began in April of 2012 in the Southeast Cape, with the Southwest being completed for 2014. To find out more about the dredging schedule and your canal specifically, contact Gator Dredging. 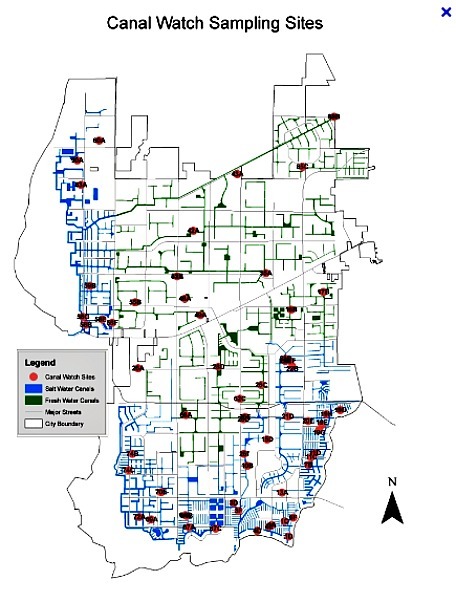 As you can see, the Cape Coral water system helps to make our city a great place to live!